Our cutting-edge, high-end winter tyre. 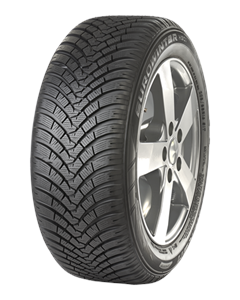 Featuring “Miura-Ori" 3D sipe technology, a 4D Nano Design compound and micro-optimised stiffer tread blocks, the Eurowinter HS01 combines superb winter driving characteristics with outstanding performance in wet conditions and low drive-by noise. Designed for directional stability, with patented “Miura-Ori" 3D sipe technology. Outstanding traction and braking performance in snow and ice.